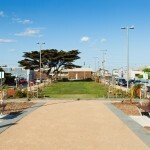 Urban Initiatives were engaged to revive Beeson Reserve, a prominent small park on the foreshore in Edithvale. 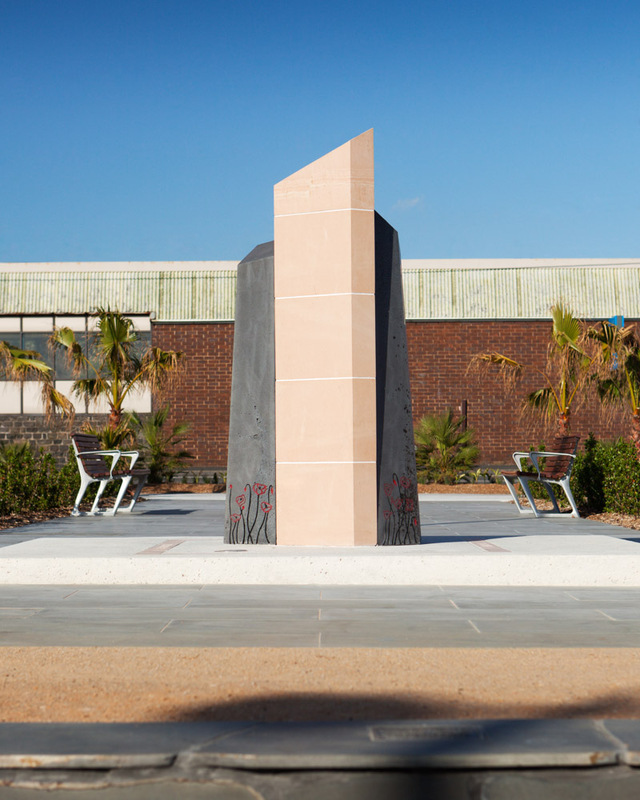 The park lacked any convincing form and was the site of weedy vegetation and a War memorial that had fallen into disrepair. 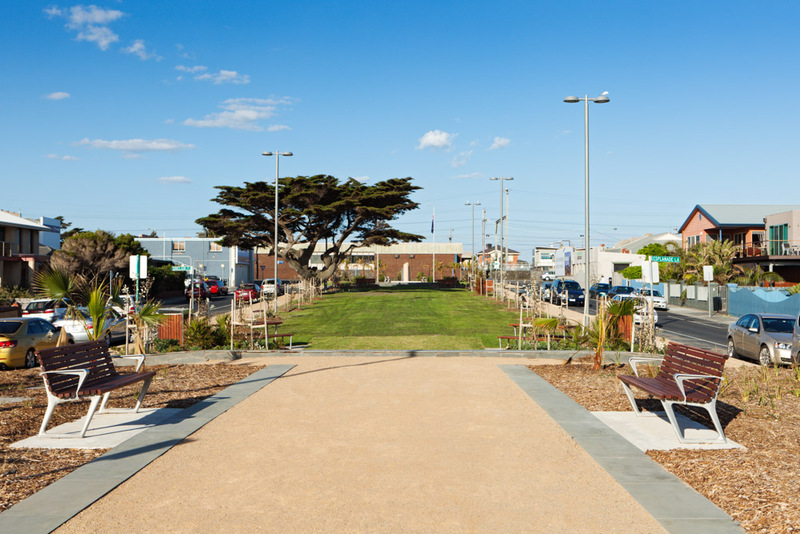 The park was given a more formal structure, with slightly raised terraces at either end and a long picnic meadow between them. 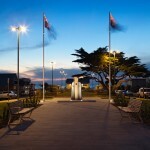 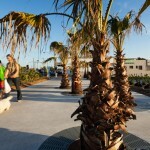 The grassed beach terrace provides seating beneath a copse of Cotton Palms while a paved memorial terrace offers a more urban setting for the new war memorial designed by UI at the Nepean Highway interface. 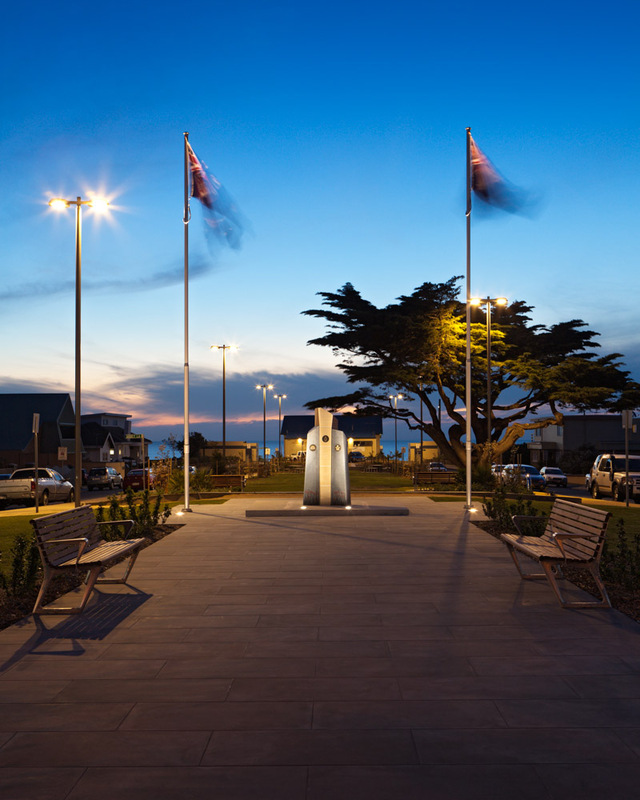 The memorial features three interlocking sandstone and basalt forms that represent the branches of the Australian armed services. 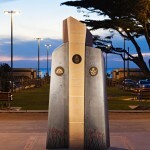 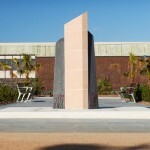 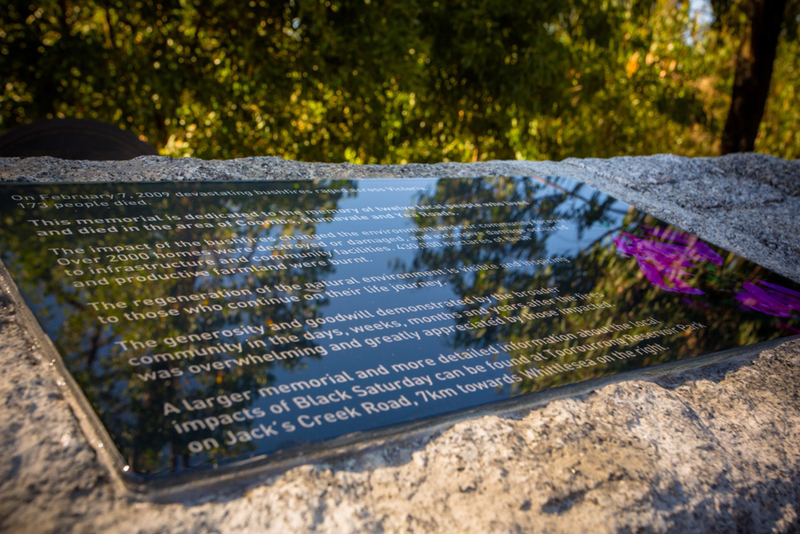 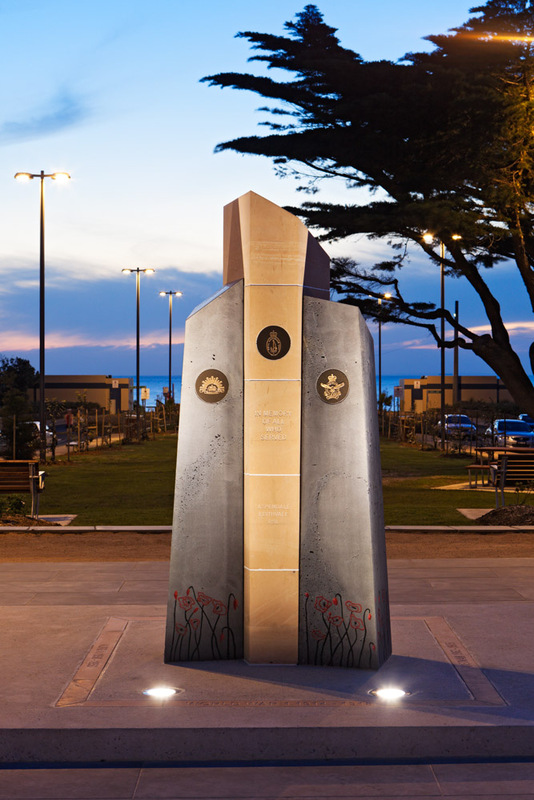 The sculpted form with its engraved poppies sits on a polished concrete podium. 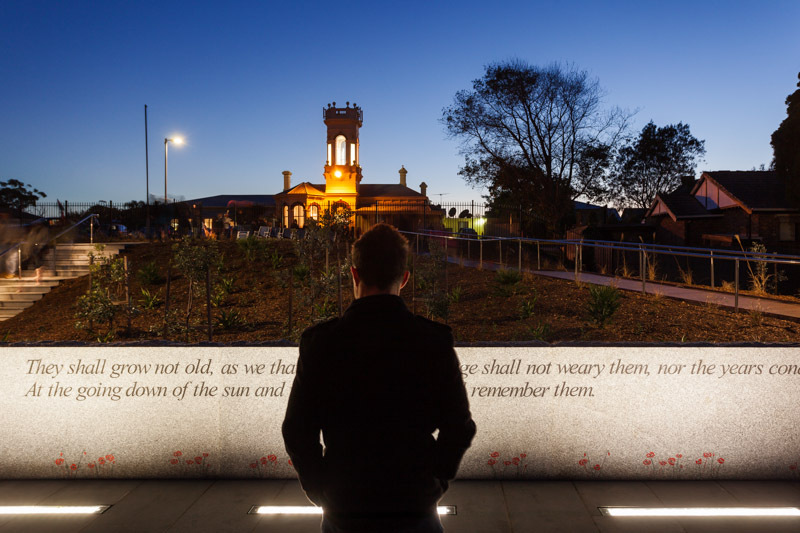 The names and dates of the principal theatres of war in which Australian troops have been engaged, are inlaid in sandstone bands in the surface of the podium. 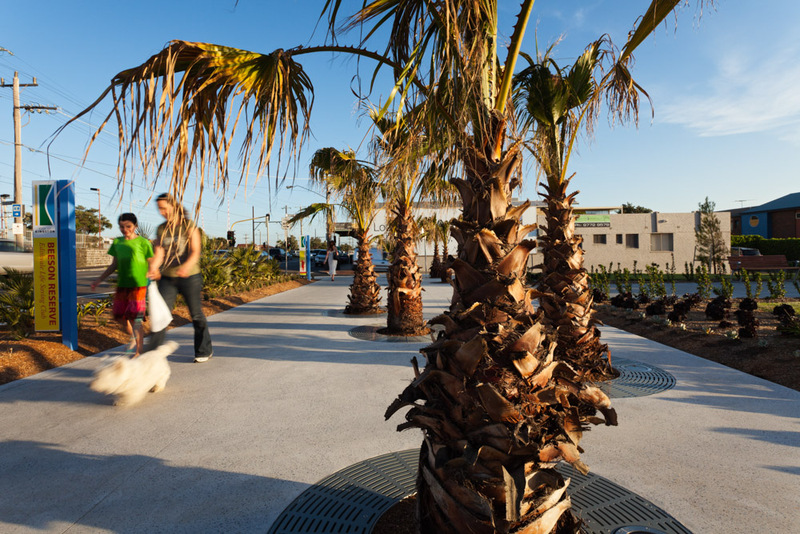 The park works include new lighting, furniture and planting, including a striking array of palms and succulents along the Nepean Hwy frontage.